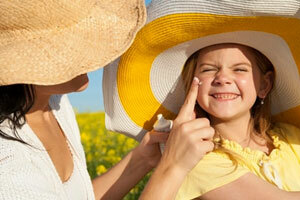 Education for skin cancer prevention. The Live SunSmart Foundation is proud to provide resources for you about the prevention of skin cancer and what to look for when it comes to detecting different kinds of skin cancer. 1 out of 7 people in the U.S. will develop a form of skin cancer during his/her lifetime. 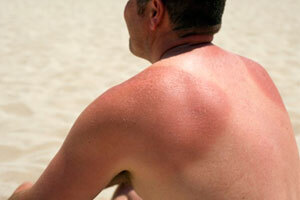 One blistering sunburn increases your risk of melanoma by 6 times. A sunscreen with an SPF Of 15 filters 92% of the UVB (ultraviolet B, or the sun's shortwaves). Melanoma is the most common form of cancer in young adults ages 25-29 years. The Live SunSmart blog is a fun source of information on how you can have an active lifestyle while being sunsmart. Come back often to read posts related to skin cancer prevention, industry updates, news about the foundation and more!